Mile Eater. The popular Durano has a completely new profile and is no 10g lighter! Its outstanding qualities remain: Extremely high mileage. Dual Compound for best grip, even training on wet winter roads. Proven RaceGuard protection belt. Got a pair of Schwalbe Duranos after using Continental 4000 SII tires for almost four years. Installed them on my road bike and tried them for a 30km break-in ride. Feels a tiny bit slower, but thats probably because of the puncture-protection weighing the wheel down. Speedy after the initial push. Great price for a great tire. Got them in about 6 days (UK to Southeast Asia). Have been using these tyres for quite a while & cannot fault them in any way. Used on Melbourne to Adelaide Charity ride with no hassles. Having been a Conti fan for years and using 4seasons and GP4000s I thought I might try something different and cheaper for the commuter. I have to say the comfort is great and they seem to roll well. Only used for 150miles so far so cannot comment on durability but for the price they are right up there with conti but loads cheaper! This is a good tire. Good in the turns. Good in the straights. Not too hard, but I do roll below the recommended pressure, and no punctures yet. Only done a couple of hundred miles so far but no problems & no punctures yet. Easy to fit on my wheels (by hand, no tools required) but took a little bit of trouble to ensure they were seated evenly and all of the kinks from being folded were out. Just a little bit heavy, as you would expect for extra puncture resistance. 5 stars from me, I had some wider off road tyres before for the canal rides, however switched to the roads now and these tyres have made a big difference on my rides in, good rolling speed and grippy too. I use them for commuting into work and would recommend these. Only had them for 3 weeks but no punctures or complaints as yet. Perfect, easy to get on and with dual compound and raceguard, Schwalbe have a winner. Especially with Merlins good pricing! Great service, quick and reliable. I find these tyres much better than other winter tyres. They feel subtle and surefooted on the road, rain or shine. A great winter or commuting tyre. Love these tyres on my all weather bike. I've tried others over the years but now only use these. For what they are and the grip they give in all weathers they are still pretty light all things considered. Third set of Duranos and more than 20k km. Only three punctures. Good grip on dry or wet. In short, they are great for training and everyday use. Easy to install compared to other tighter fitting tires like Contis. Smooth rolling, and durable, just what you would want in a Winter tire. Excellent all round tyre, great look and handle exceptionally well. Delivery from Merlin Cycles to Australia second to none with a great delivery update available for tracking products. I noticed that the ride is more comfortable on Duranos as opposed to Continentals that I had before. Overall, very satisfied with the purchase. 500 miles on my front tyre, no problems to report, nice and grippy. unfortunately, the rear tyre got a 20mm cut all the way through from a massive lump of sharp glass after around 150 miles on a wet night ride. i think this was down to bad luck rather than a problem with the tyre though. Replaced with another the same. A bit of a sod to fit initially compared to the Vittoria Rubino's I was using previously. Good tyres, light, good rolling, perfect grip in all conditions! Good puncture protection. Big, comfy and grippy. Great price from merlin make these an excellent purchase. 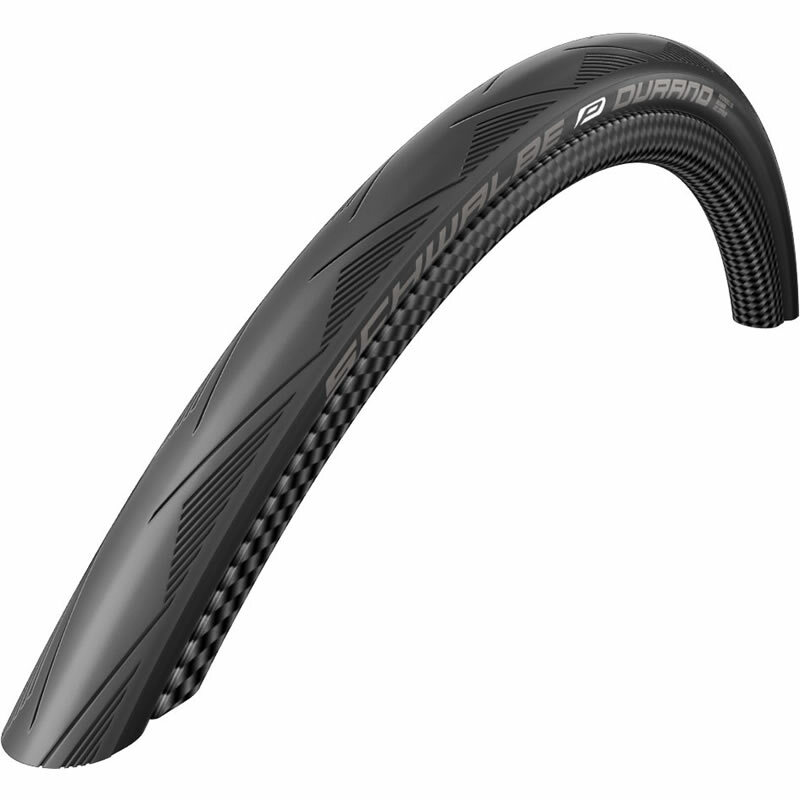 The Durano Raceguard is a great tyre as it sticks very well to the road, I was not expecting it but the ride was very comfortable and it took the bumps and potholes very well. Easy to change, has good grip. With two levers, it is easily removed from the rim. Puncture protection is really good as I only got one puncture in 2000k on the roads of Istanbul until I hit the edge of an embankment in a failed attempt of a bunny hop and punctured the rear tyre. The grip is assuring as I feel really safe when turning the corners (never used in the rain). I rode under heavy storm and I felt good with its "grip" feeling. I swapped out the Vittoria knobbies on my cross bike to commute on these. Instant speed increase and significantly better in the wet than the schwalbe one tubeless tyres I was running on my other bike. I read lots of reviews of these being better than Gatorskins as far as ride feel. My cross bike now feels like a road bike. I can't genuinely tell if these roll better, but they definitely accelerate more quickly than other tyres I've used and, so far, are showing no signs of wear. These tires are easy rolling and good gripping in all conditions. They are a little tight to fit the first time round but there after they are much easier to fit. Very good value and quality. Great tyres so far, feel a little less lively than my previous tyres but the improvement in grip in all conditions is huge (with disc brakes too). The tyres have already had to deal with horrendous road surfaces and glass all over and have stood up well with no slashes in the tyre. So far I'm really pleased with the confidence they have given me over my older tyres. Great tyre balancing road speed and lightweight nature with puncture protection. I always go for Durano as it ticks all the boxes. A lighter tyre than conti 4 seasons and way easier to change. Roll very well and have plenty of grip in mixed conditions. Seem to be a good winter/early spring tyre.